Kathy LaPlante, MSW, is a member of the Otoe-Missouria Tribe of Oklahoma. She holds a bachelor’s degree in social work from Northeastern State University in Oklahoma, and a master of social welfare degree from the University of California at Berkeley. She currently teaches in the master of social work program at the University of South Dakota. 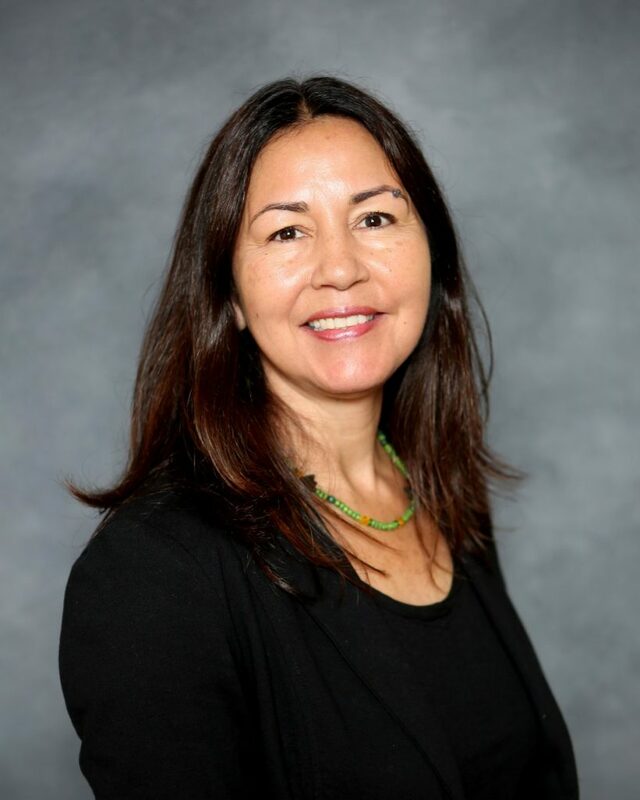 She teaches primarily in the areas of child welfare, Indian child welfare, and trauma-informed social work practice with children and families. In recent years, she served as lead faculty to a National Child Welfare Workforce training grant to help prepare undergraduate social work students for child welfare work. Supplemental to this was the Tribal Child Welfare grant where she collaborated with Oglala Lakota College on the Pine Ridge Reservation, to address cultural competency training for child welfare practice with Native American populations in South Dakota. Prior to teaching, Kathy spent her professional practice career advocating for the rights of Native American children and families in Indian child welfare work. Professor LaPlante is a certified in trauma-informed child welfare practice and a member of the Council on Social Work Education trauma task force work group, created to develop holistic trauma competencies for MSW students in collaboration with the National Center for Social Work Trauma Education and Workforce Development at Fordham University.